AnnoScape project is as an approach to performing a remote collaborative review of 3D digital data using a live video overlay of the desktop image on the viewports of the 3D scene. The system’s virtual viewports are controlled with tangible handles and can be left spatially in the 3D data space. 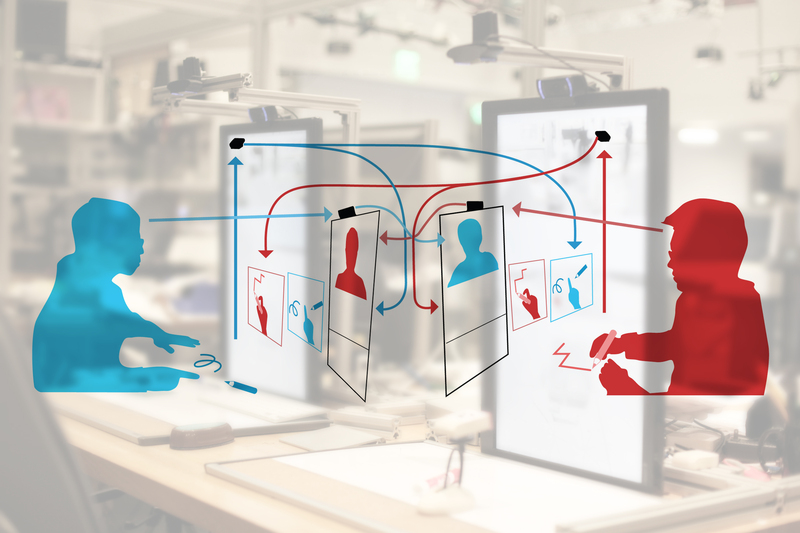 The viewports can be shared with remote collaborators both asynchronously and in real time. The system allows distributed users to navigate shared 3D space individually or jointly (synchronizing the viewport); generate an overlay of the live video of hand drawings, physical objects, and printed images from the desktop surface with the viewport; and control the legibility of the visual contents.